Can I Use Crystals To Help Sell A House That I Am Not Living In? We are trying to sell a house that we used to live in, which is currently being rented out. I can't really go in there and smudge etc.. What do you recommend to facilitate this process. It is currently listed with an agent and we have not had much activity. Thank you for questions about how to use energy to sell your house ... especially since you cannot get in the house! Try using the listing itself as a tool or take a picture of the outside of the house with the "For Sale" sign in the photo. You can smudge the listing/photo while you visualize the inside and outside of the house and ask that that the energy be cleared. You can also use crystals to surround the listing/photo and charge the crystals with the intention that the house be sold. Try Clear Quartz, Smokey Quartz, and Hematite. 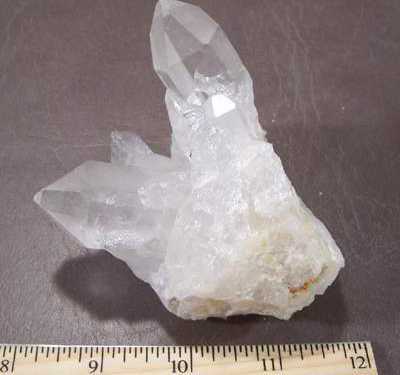 You could place a Clear Quartz on top of the listing/photo and visualize the house being sold - the "For Sale" sign with a "Sold" sticker across it. Finally, try burying a Green Aventurine on the property for luck and abundance.